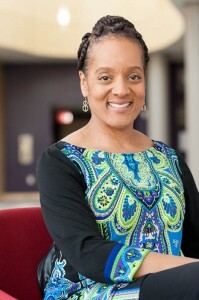 Theresa M. Davis is an Artist-Educator in 3-D (Dramaturg-Deviser-Director) working to expand the boundaries of creating culturally specific work in academic institutions and beyond. It is her steadfast desire to produce events that speak to diverse audiences and communities—revolutionary theatre that inspires growth and fosters intercultural communication. Last summer Theresa collaborated as a Dramaturg with the Contemporary American Theater Festival’s productions of The Ashes Under Gait City and Dead And Breathing. Currently she is involved in Working Theater’s FIVE BOROUGHS / ONE CITY Festival. She is working on the Staten Island Project, with Playwright Chisa Hutchinson and Director Kristin Horton. Favorite quote about Dramaturgy: “The Dramaturg’s job is to illuminate the story.” –Anna Bosy. Tenured at three different institutions, Theresa has taught at Kalamazoo College, West Virginia University and the University of Virginia where she joined the faculty in 2007 as an Associate Professor of Cross Cultural Performance. She is a former member of the Board of Directors for the University and Resident Theatre Association (U/RTA). As a Director she has also enjoyed Guest Artist residencies at Macalester College and Purdue University. Her directing credits include The Colored Museum, The Miser, A Piece of My Heart, Flyin’ West, The Canterbury Tales, Twelfth Night, Mo Pas Connin, for colored girls who have considered suicide when the rainbow is enuf, Seven Guitars, The African Company Presents Richard III, Day of Absence and Every Tongue Confess. She is the founding Artistic Director of the Cultural Awareness Troupe (The CAT) and the Director of the Contemporary American Theater (CATF) Hostel Youth Program. As a performer Theresa has had the privilege of christening a new black box space at the ETA-Hoffman Theater, Bamberg, Germany in a performance of This is the Life. Some of her current research and creative investigations include: Embodiment of the Spiritual Self, African American Theatre, Theatre as a Sacred Space, New Play Development and Poetry in Performance. Devised Poetic works include Speak! The Forbidden Truth, Give Me Liberation and Give Me Soul: A Poetic Exploration of Oppression versus Freedom, Dissolving the Mask, NEXUS—Where Parallel Paths Cross, and Evolution. Revolution! Rebirth...Theresa M. Davis continues to hold firmly to the belief that Theatre has the power to transform.